This striking large Indigo blue Moroccan pile rug has a lot of character and charm! With its indigo purple blue colour palette, it is a rare find! The rug is handmade in Morocco with the traditional Berber motif of mosaic diamond shapes. It will make a striking centrepiece rug in any home. 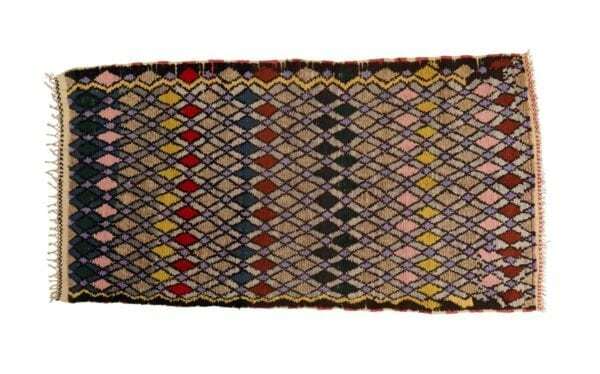 Its large size of 2×3 or 6×10 makes this vintage pile rug a good bedroom or sitting room rug. This striking large Indigo Blue Moroccan pile rug has without doubt a lot of character and charm! With its indigo purple blue colour palette, it is a rare find! 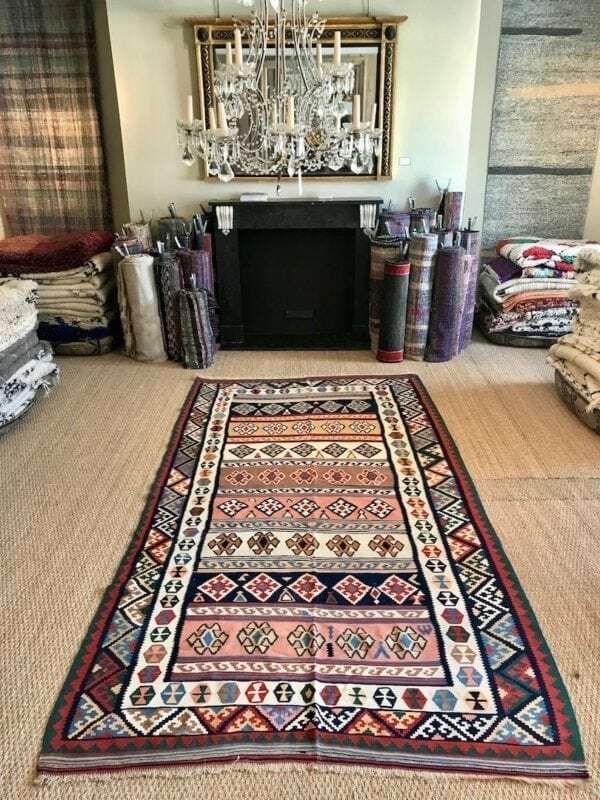 The rug is handmade in Morocco with the traditional Berber motif of mosaic diamond shapes in a lighter purple colour. Additionally the rug has accents of red and forrest green that adds to its unique look. This Large Indigo blue Moroccan rug is made from 100% wool and is highly unique and one off! The pile of wool is low to medium in height and feels soft. The rug is vintage, in very good condition and made of good quality wool. A rug can completely transform a room, so why not choose your rug first and then create your room’s scheme around it? 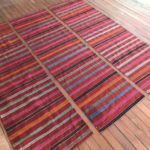 With its bold purple coloured and abstract diamond pattern, this handwoven vintage rug will make a striking centrepiece in any sitting room. Its large size combined with its soft pile, makes this rug a perfect bedroom carpet too. The pile will deliver warmth underfoot and the texture will add a cosy feel to the room. This makes it a good size for a larger room that benefits from a well placed floor covering like a sitting room or bedroom.